By David Ponce on 04/12/16 • Leave a comment! You took a bunch of videos at the beach, and now you want to show them to all your friends. You could all cramp around your iPhone and watch it on a 5 inch screen. 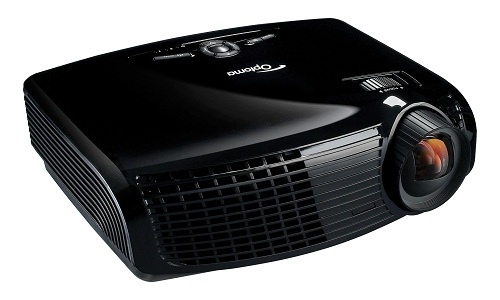 Or, you could carry around the iCODIS CB-100W projector and show them on a glorious 120 inch screen. Glorious might be a bit of an exaggeration, considering you’re only projecting at a 640×480(VGA) resolution, but considering the thing is 1.7″ on each side, you’ll have to accept the compromises. 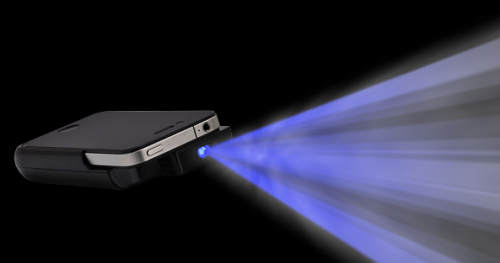 That said, the tiny pocket-friendly projector does output a respectable 80 lumens, which is bright enough for a dimly lit room. – 110-gram weight. So you can hang both it and your Minnie Mouse keychain from your designer seafoam handbag without stressing its seams. 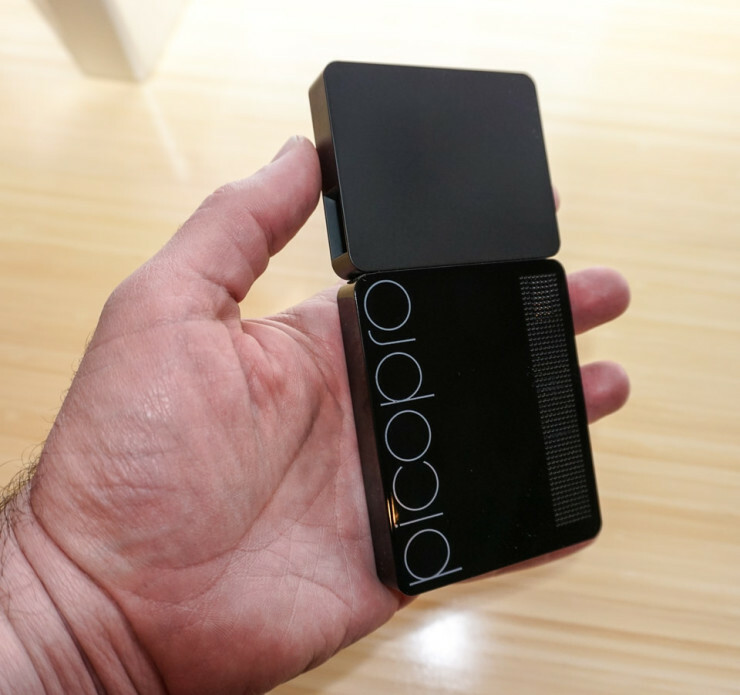 It’s tiny, lightweight, and does its intended job well. Amazon reviews are glowing, and at $249, we think is fairly priced. By David Ponce on 01/15/15 • Leave a comment! This is a really cool product. 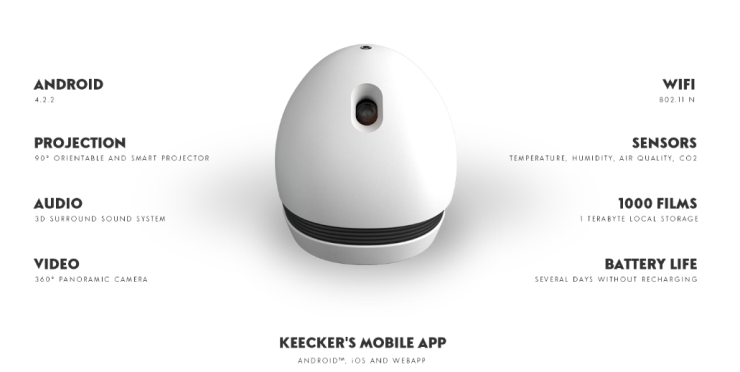 It’s basically a projector that analyses your room and projects in 180 degrees so that the image looks right from your point of view. This means the entire room in front of you becomes the environment that is normally just projected onto the small rectangle of your television. It’s virtual reality minus the headset! It’s turning your entire room into a giant projector screen! 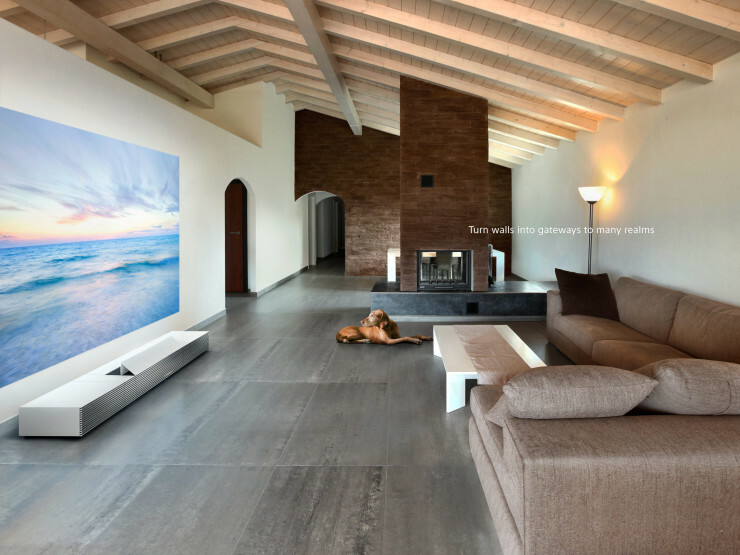 By carefully analyzing the angles and protrusions in your room, Immersis is able to automatically calibrate the image it projects, creating an immersive effect unlike anything else out there. And the best part is that it’ll work with any true 3D game. The company behind the product, Catopsys, has already created a plugin that allows Immersis to work with any game that uses the Unity 3D engine. And there’s a beta for Unreal Engine. What’s more, they’re releasing the SDK so that developers can quickly and easily make their games compatible with the product. It sounds awesome, and if it works as promised, could be worth the $1,150 asking price. Yes it’s steep, but that’s as close to the forefront of innovation as it gets. By David Ponce on 01/15/14 • Leave a comment! 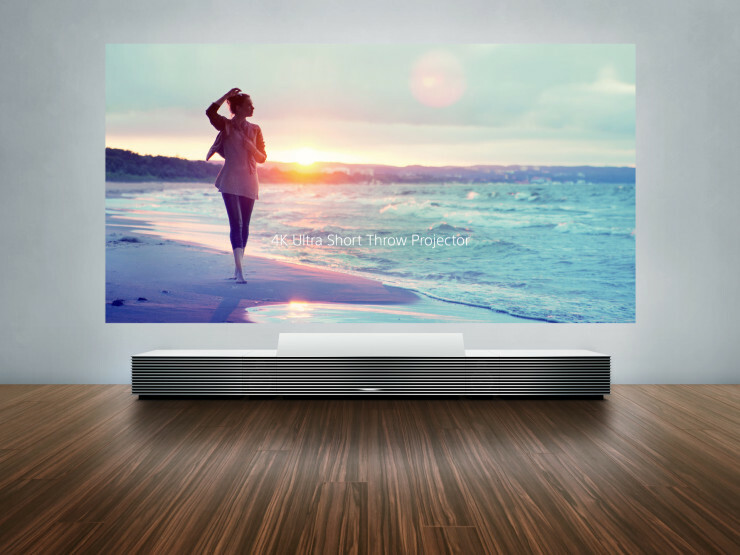 Sony is not new to the world of ultra short throw projectors, projectors so designed that they can sit only inches from the wall and still generate a geometrically correct image. But Sony’s 4K version is just mind blowing. The idea is that it’s large enough and stylish enough to act as a piece of furniture in your home, potentially replacing your whole entertainment center since it also features storage cabinets on the sides for other electronics. It’s able to shoot an image 66″ to 147″ across (depending on the wall-to-projector separation) at a 4096 x 2160 resolution. There’s “3D support and Sony’s Triluminous display capabilities as well”. But that’s on the front. On the back of the appliance, facing your sofa, is a set of speakers that’ll project your movie’s sound straight into your bewildered face. But it’s not bewildered because the experience is so amazing, no… it’s like that because you’ll likely still be reeling from the projected $30,000 to $40,000 you’ll have to spend to own it. By David Ponce on 09/28/12 • Leave a comment! Ok, this is just a concept car for the moment, for the Smart Forstars has one kickass feature that we haven’t seen anywhere else. 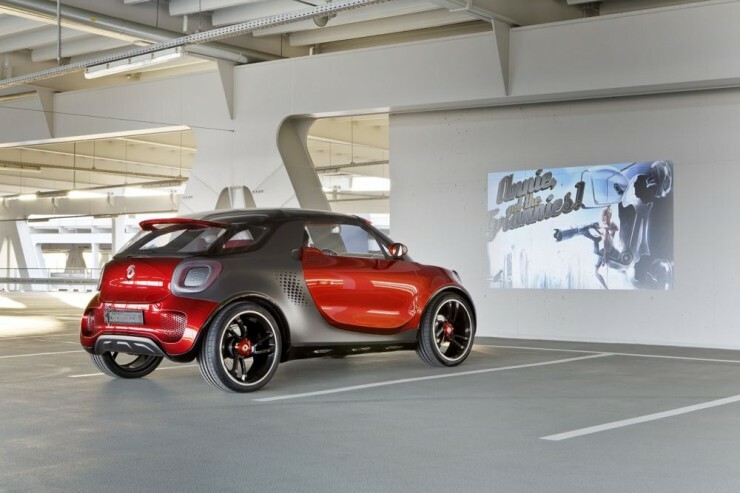 The hood has an integrated projector, which means that as long as you’re parked in front of a flat wall someplace, you got yourself a drive-in theatre. 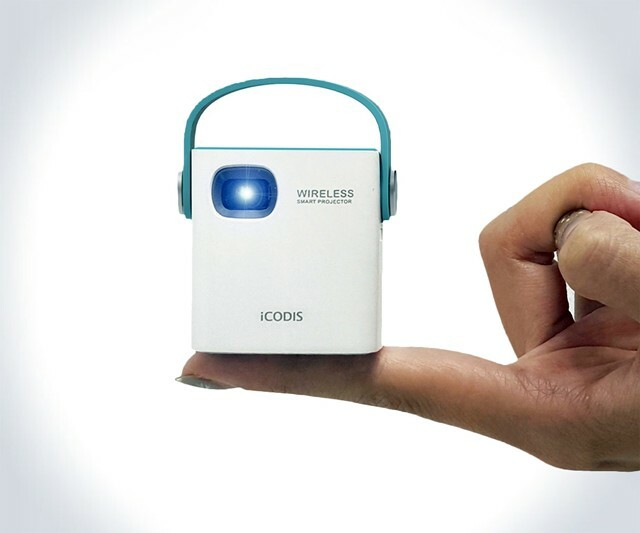 You connect your phone to the system wirelessly, and it gets the videos from there. Audio of course is pumped through the car’s sound system. There’s no details on the brightness or even resolution of this thing, but that’s beside the point. We can think of a number of scenarios where, uh, young couples would enjoy having this on their car. Smart move, Smart car. It’s currently on display at the Paris Motor Show, and we’re not sure if it’s actually going to go into production. We give our seal of approval. The situations in which we’d find ourselves needing to project images from our iPhones onto some surface are few and far between. Still, we’re not all created equal and we can imagine there are those who would indeed enjoy the ability to do just that. For those people, the Monolith case by Century gives you the ability to project images in 640×360 resolution, with a 1000:1 contrast ratio and 12 lumens of brightness. 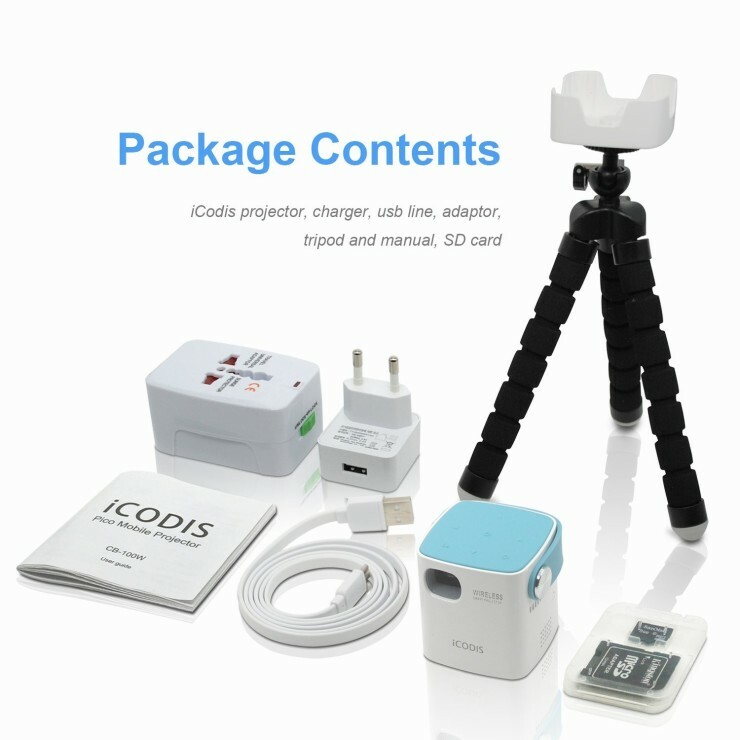 The largest projection size recommended is 60 inches (not 60cm as others have stated, unless the info in the promotional video is incorrect), although at 12 lumens, you better be in a dark environment. 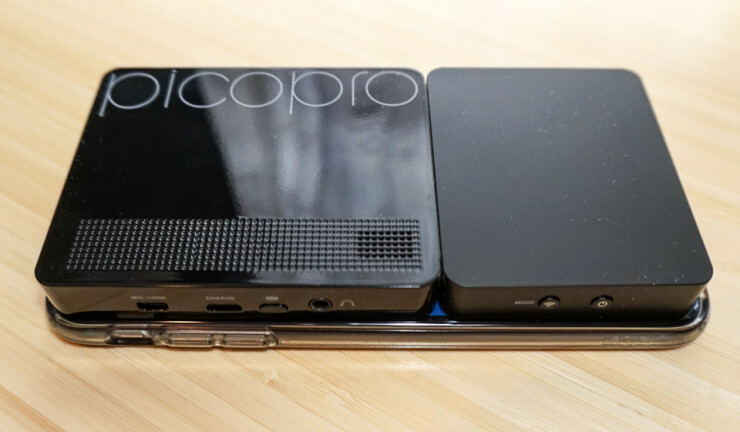 The Monolith also does double duty as an external battery pack, raising your phone’s life by an estimated 50%. It will require 4 hours to fully charge although it shouldn’t impact your phone’s charge time. Sadly again, it’s Japan only at the moment and costs around $260. Hit the jump for a couple more pictures and a video with totally not annoying music. At all.